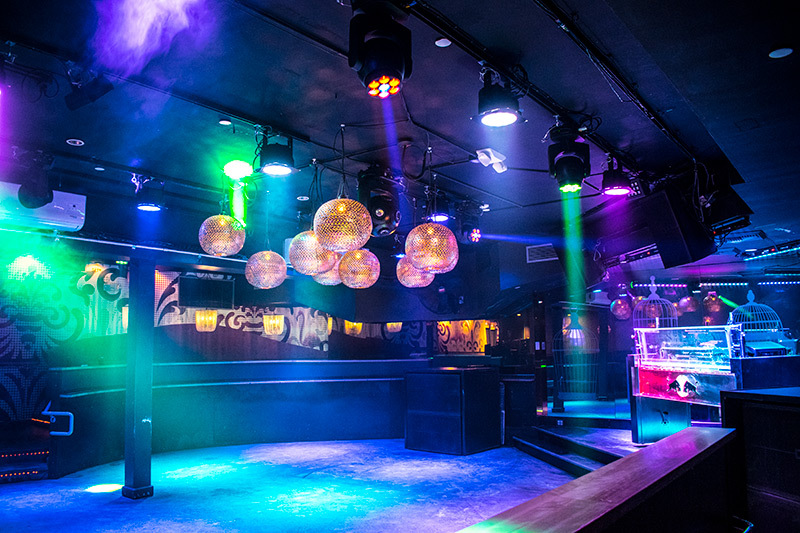 When the management of the Onyx Room Nightclub in San Diego wanted to overhaul the lighting in their downstairs lounge and dance spaces, they brought in experienced Lighting Designer Ramiro Valenzuela. Having visited the venue and built up a picture of what was required, he evaluated products from a number of manufacturers before deciding on a collection of ADJ fixtures. The result is a versatile system which has impressed the venue’s management and allowed the dance room, in particular, to live up to its full potential. Located in San Diego’s historic Gaslamp Quarter – known for its rich Victorian architecture, world-renowned dining and diverse entertainment scene – the Onyx Room features local and international DJs. Housed in a building that was constructed in 1910, the club draws its name from the Onyx Hotel which operated on the upper floors from 1911 to 1938. Building on this heritage, the Onyx Room itself has been a part of San Diego’s nightlife since the ‘90s. With music from hip hop, mash-ups, top 40 and party rock to house, electronic, ‘80s and reggae, the Onyx Room has something for everyone. The club attracts an open-minded, up-for-anything, and incredibly friendly crowd who enjoy the fact that the venue offers both a chic lounge bar vibe early-evening and a late-night dance club atmosphere. Spilt across three separate spaces, the club features a street-level bar area and downstairs lounge and dance rooms. The club’s management recently decided that it was time to upgrade the lighting system in its two downstairs spaces and brought in local Lighting Designer Ramiro Valenzuela to specify, install and program the new rig. The venue’s basement lounge has a luxurious feel with comfortable seating, a large bar and retro décor featuring intricate coving and hanging lamps. To complement the period fixtures and illuminated coving, Ramiro specified eleven of ADJ’s small, but powerful, Inno Pocket Z4 moving head fixtures. Powered by four 10W Quad LEDs, this unique fixture offers a 10 to 60-degree motorized zoom allowing both wide washes and tight beam effects to be created from an extremely discrete unit. Ramiro has programmed slow sweeping movements and subtle color changes to create ambiance in the space while patrons enjoy drinks from the bar during the early evening. Later on, when the tempo of the music increases, more energy can be injected through faster movements and tighter beam angles. However, at all times, the small size of the Inno Pocket Z4s means that they don’t detract from the room’s elegant features and overall ambiance. Later on in the evening, when the Onyx Room starts to fill to capacity, a second downstairs space opens up which is dedicated to dancing. With a large dancefloor, raised stage and atmospheric exposed brick walls, it is in this downstairs club room that most of Ramiro’s efforts were concentrated during the recent lighting system renovations. To achieve this he chose ADJ’s powerful 18P Hex wash fixtures, each loaded with eighteen 12-Watt RGBWA+UV LEDs. These he installed in three rows, aimed straight down onto the dancefloor, making use of the fixture’s integrated gel frame to position a diffusion filter in-front of the LEDs in order to soften the beam. To add movement into the space, Ramiro also specified nine of ADJ’s Vizi Hex Wash7 moving head fixtures. Each powered by seven 15W HEX LEDs, these versatile fixtures offer fast, smooth pan and tilt as well as a motorized zoom function allowing for a beam angle of between 5 and 55-degrees. Hung from the ceiling, interspersed with the 18P HEXs, the moving heads inject energy into the room’s impressive lighting display. To add further illumination to the stage area, five of ADJ’s Ultra Hex Bar 12 linear LED fixtures have also been installed. Three of these light the stage from in front, one is positioned dead center, while the final unit is mounted at the back of the stage to illuminate performers from behind. This adds to the room’s flexibility, meaning that it can be used for live performances, dancing, and a combination of the two when dance bands perform! The room’s new lighting system is completed by an ADJ Asteroid 1200, the spherical centerpiece fixture which offers continuous 360-degree rotation of head and yoke to shoot moving colored beams out in all directions. As a modern take on the classic mirror-ball effect, this was chosen to pay homage to the history of the venue while also providing a focal point to the new light show. Not only were the club’s management pleased by the cost of the new lighting system, they were also impressed by what it can do. The dance room, in particular, has been completely transformed from a dark, unattractive space to a vibrant and inviting place where patrons can let their hair down and dance the night away.